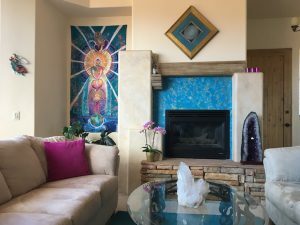 This beautiful uplifting and inspiring healing setting is available for those creating their own Sedona experience or who would like to include healing sessions and activities with Dr. Aurora Juliana Ariel, PhD. 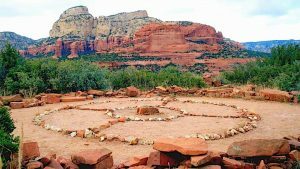 The Red Rock Vortexes of Sedona have a special energetic that naturally raises and purifies your energy. is available for individuals, couples or small group of 4 or 5. Lodging at the Temple of Sacred Alchemy includes your own private wing with private bath and National Forest views. 2 Rooms Available: The Angel Room (with Queen Bed) and The Oracle Room (den with TV and comfortable Queen couch bed). Twin air bed available for additional person at $50 a night. Guests enjoy full use of kitchen, breakfast room, and front patio. Hiking Trail out back door. Whole Foods and other stores within 1-5 minutes. Rooms are $150 a night. Cleaning fee $40per room. Payment due upon booking with no refund. Uplifting and inspiring, the spectacular landscapes lend their magic to your healing retreat experience. A personally tailored menu of healing, Red Rock Adventures, celebrations or ceremonies can be designed. 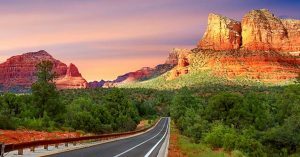 You can add in a private, personally tailored, soul advancing Sacred Alchemy Healing Retreat and/or Sacred Tour Experience with Aurora in the majestic Red Rock Vortexes. Also available are: Sacred Alchemy Weddings, Ceremonies to Celebrate Significant Life Passages, Vow Renewals, and more. Transform your life with illuminating sessions that awaken and aliven, activating the Inner Self to blossom in majesty and grace. Sessions can include DNA activations, Divine recoding, pineal and chakra purification and activation, brain chemistry and hormonal balancing, cells, atoms and electrons charged with Divine Light, Divine Healing Transmissions, Messages, Readings from your Book of Life (akasha), Soul Destiny Readings, healings and transformations. This uniquely designed Healing Retreat is available that can included a personal program for each person or group, with wide array of offerings including a full assessment, personalized Optimum Health and Lifestyle Program with Advanced Healing Protocols, deeply transformational healings from a vast array of cutting edge modalities, a personal Divine Healing Transmission, exciting Sacred Site tour daily and more!!! Inquire or Set Up Your Retreat Experience Now!